Want a handy-dandy printable calendar of all our June events? You're Welcome. Registration for our summer programs will begin on June 15th. 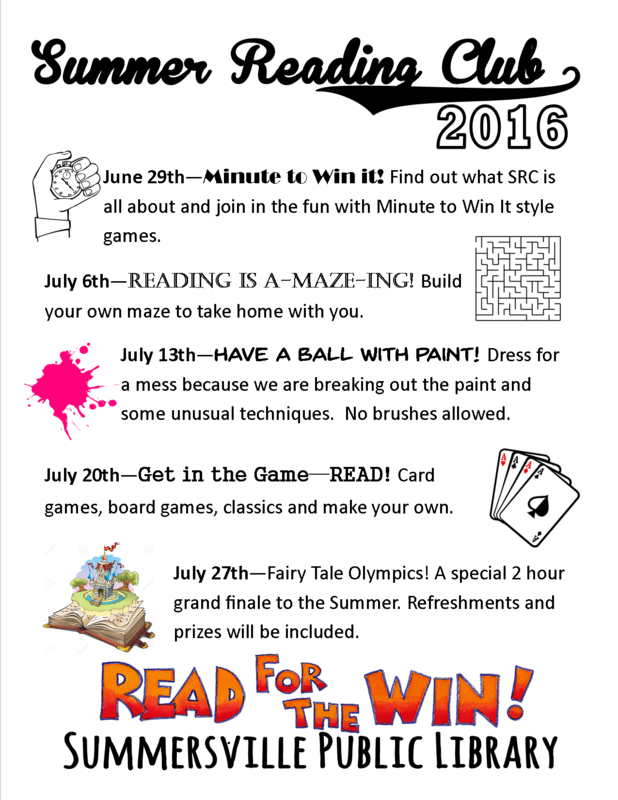 This summer we are celebrating reading with the national summer reading program "Read for the Win!" 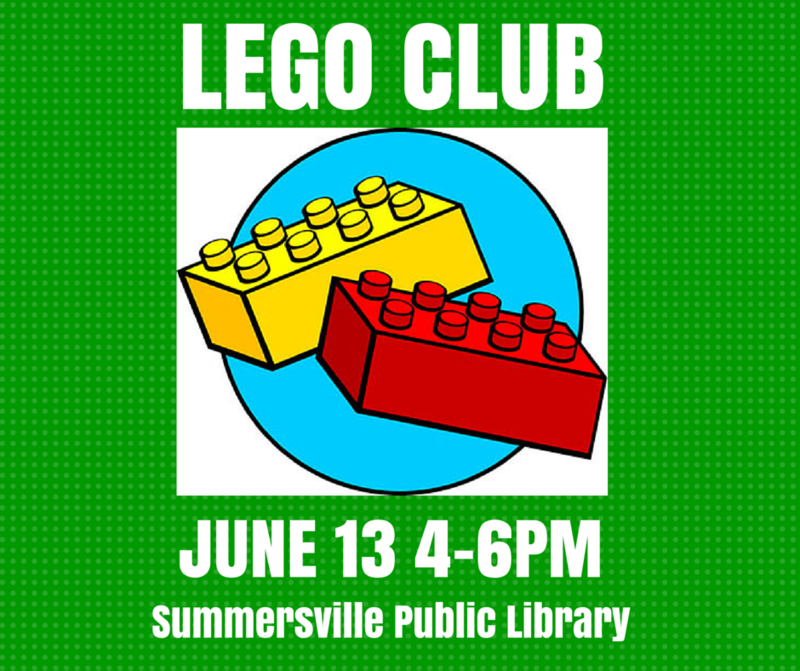 Summer Reading Club (SRC) will take place on Wednesdays beginning June 29th from 1-2pm. Children must be registered to participate and be eligible for prizes. They do not have to attend our weekly programs to collect the prize. Here is a handout for the weekly programs, so you'll know which day involves paint! SRC is open to any child that has finished Kindergarten through 4th grade. 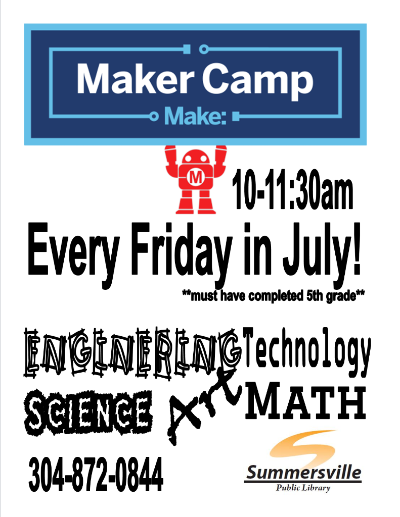 For kids not yet in Kindergarten we have storytime on Tuesday mornings at 10:30 and for those who have finished 5th grade and up offer a STEM class called MakerCamp on Friday mornings from 10-11:30am. Tired of the kids having all the fun? Us too! 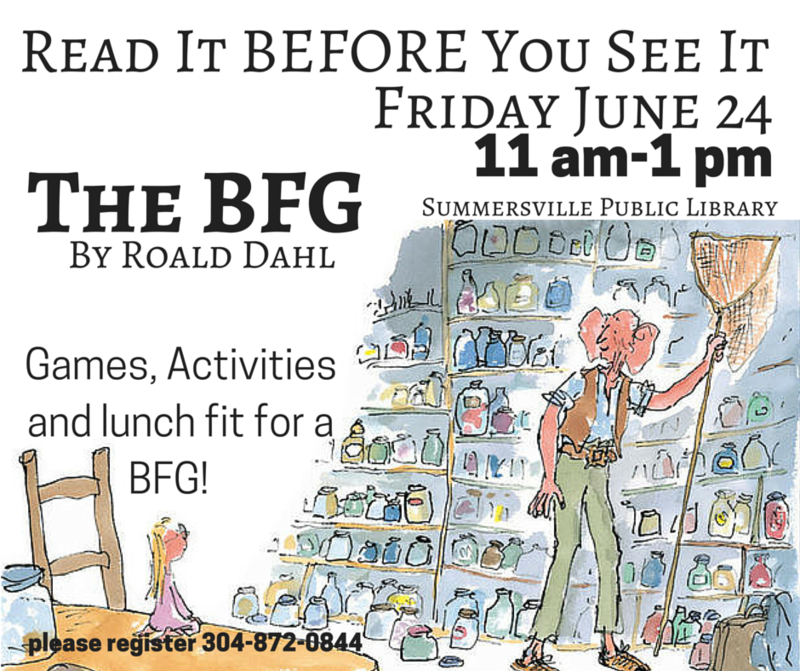 This summer we are pleased to offer an Adult Summer Reading program, with prizes! Beginning June 15th you can pick up a Summer Book Bingo game card. The cards will have different reading challenges. Achieve a 'bingo' by completing a line diagonal, vertical or horizontal. Once completed turn your game card in, or post a picture of it on Instagram or Facebook and get a prize. Full details, rules and small print will be on the game card. On July 6th we will start drawing for weekly prizes, they sooner you turn your sheet in the better chance you have to win prizes from local businesses. Still want more? Complete all the challenges for a 'blackout' card by August 17th and get entered in a drawing for a $50 Amazon.com gift card! We have multiple copies of the book available plus it is on WV-READS as an ebook and an e-audio. School's out! Let's Build!! LEGO open house, stop by anytime between 4 and 6 and all 10,000 LEGOs will be available for your imagination.